The LTC Gallery’s newest art exhibit, “All Around Us”-The Art of Diana Caron, is now up. After she retired, Diana was able to pursue her lifelong passion for art. Mentored by a local artist, she began seeing the world around her with “new eyes.” Her award-winning photorealistic work reflects that vision and is just beautiful! 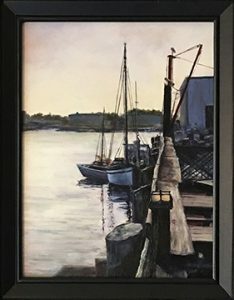 If you stop by on Downtown Lowell First Thursday, September 6, from 5-8 PM, you’ll not only be able to admire her work, you’ll also be able to meet Diana, talk to her about her work, and enjoy light refreshments. LTC will also be streaming interviews live from all the participating downtown art galleries on Downtown First Thursday’s facebook page. Diana’s interview should start about 6:30. The interviews will also be posted on LTC’s facebook page. Can’t make it on the 6th? You can see her work here in LTC’s gallery from September 4-27. We are open Monday-Thursday 10AM-9PM, Friday 10AM-6PM, and Saturday 10AM-2PM.